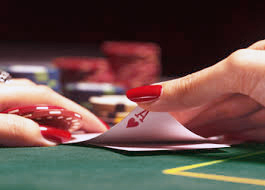 The best players that casinos emphasize on attracting are not the pros who make a living winning in casinos but the naive uninformed fun seeker who does not bother with the specifics like house edges and strategies. Slots make the most money for casinos hence the reason there are always thousands installed in most major casinos. Since casinos rarely disclose paybacks on their slots machines, if you want to know which casino offers the best chance of actually wining you have to find out what the payback is. One of the few casinos I know that take pride in advertising their slots paybacks is Riviera in Las Vegas. Payback is basically the percentage of money that the casino gives back to players as winnings. My point is, it is best to play slots at a casino that has a high percentage payback than in a casino that doesn’t disclose or has a very low payback percentage. As for playing slots in online casinos, the rule is pretty same – it is better to stick to an operator offering the highest payback rate. Most attractive offers are usually presented at the new and rapidly growing markets as a South African one. This market is now showing one of the highest slots payout percentages. For instance, South Africa's Black Diamond Casino has an average payout rate of 98%, and this info is freely disclosed because the casino is under official independent audit. There’s another superstition towards online slots as lots of newbies believe that all slots are the same and are built on the same gaming software platform. Online Casino in South Africa are busting this superstition as well. There are 5 popular gaming platforms in SA: Realistic, NetGen Gaming, NetEnt, PlayTech, Real Time Gaming and of course Playtech. Moreover, lots of South African online casinos offer various featured slots. It is understandable that casino games players or gamblers are very superstitious people and often hold onto ridiculous but interesting myths as truths. One of the most serious myths that have been taken as truths is that the longer you play in a slots machine the higher the chances of hitting the jackpot. When playing on a progressive slots machine, you only increases the amount of the jackpot with every new play but the play itself is independent from the previous since slots is a game of chance. Therefore, go to the casino to have a good time but don’t insist on playing longer even spending money you cannot afford to lose in the hope the next play wins. A few other things that do not affect your odds in slots are pressing the button or pulling on a lever, how long it has been since the last jackpot was won, the time of the day or day of the week, whether the coins are hot or whether the slot card is inserted. However, the location of the slots machine affects the payout as slot machines in public places such as airports and malls are more rewarding than those hidden in the casino basement.